Imagine yourself hovering over the vastness of the earth, relishing the natural beauty along with sense the serenity of the sky. This is what skydiving is about. Encompassing adventures, excitement, and remarkable experiences, skydiving is an extreme sport which involves the breaking a free-fall with a parachute. Skydiving is something every adventurous soul should include in their bucket lists. Aside from the adrenaline rush it offers, this activity also helps one de-stress and enjoy the excitement of like. Skydiving is possibly one of the most exciting activities available to man and there are many places in the world offer it. 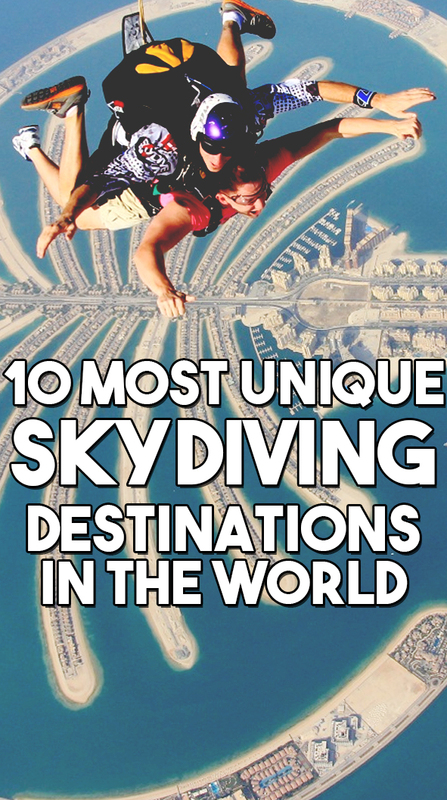 In this article, we share to you our list of 10 most unique skydiving destinations in the world. Considered as The Adventure Capital of the World, it’s not surprising that New Zealand offers one of the most picturesque skydiving spots in the world. Fox Glacier is a huge glacier situated in the Westland National Park. This is a popular tourist destination, which is fostered by four mountainous glaciers and falls 2,600 meters. The magnificence of the scenery is definitely breathtaking. 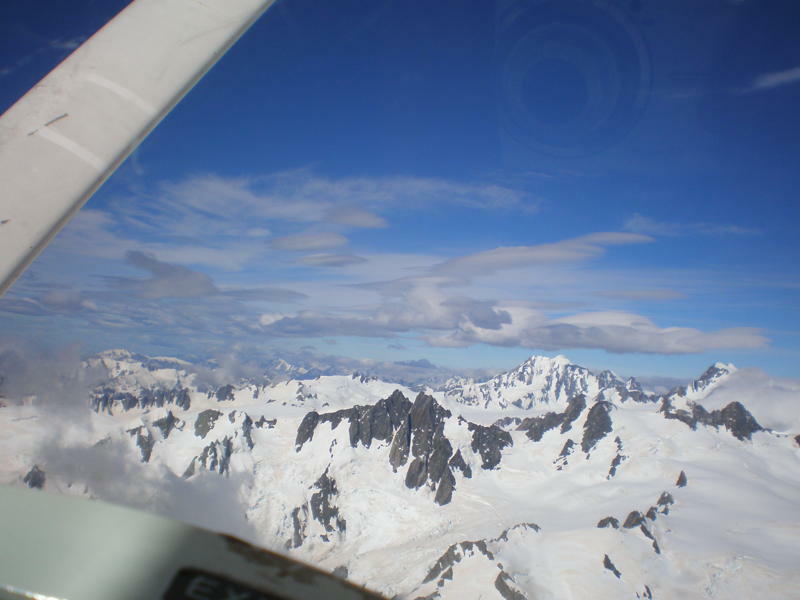 You will enjoy the sight of the Tasman Sea, glaciers, and lakes. This is probably one of the most famous locations to do skydiving. 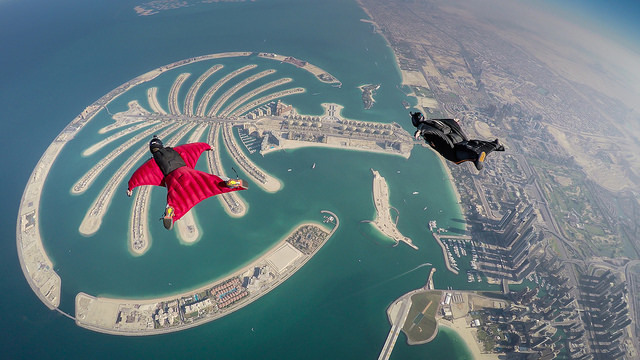 Skydive Dubai one of the world’s most spectacular drop zones. You will jump off a plane at a height of nearly 4,000 meters and feel the strong wind on your face. Throughout a minute-long free fall, you will get a bird’s eye view of the man-made island that is the same shape of a palm tree, followed by a 5-minute parachute slither to the ground. Hawaii is not only popular for pristine and beautiful beaches. 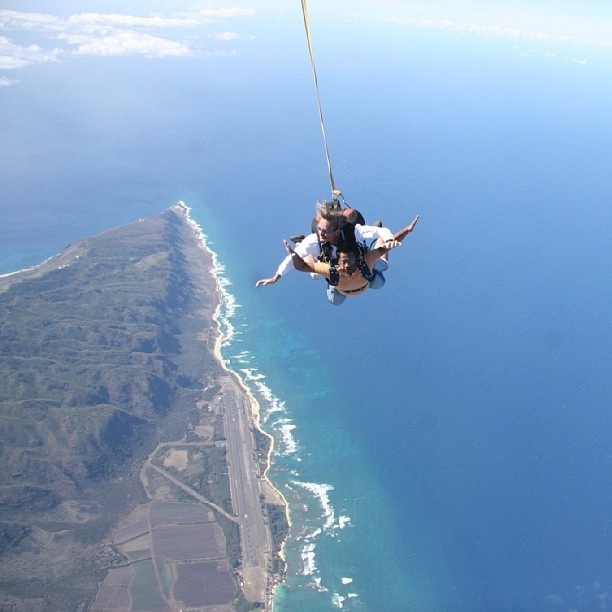 In Pacific Skydiving Honolulu, they offer some of the most appealing beauty one could ever witness while skydiving. From 13,000 feet in the air, you can experience splendid views of the whole island of Oahu and Pearl Harbor, if you are lucky, you may even get a glimpse of a whale. Seeing the highest mountain in the world would be dream come true. So, what more if you see it from above? Now, you can take the leap of a lifetime by jumping off a plane for a free fall over Mount Everest. With an altitude of 29,500 feet, it is considered as the highest drop zone in the world. 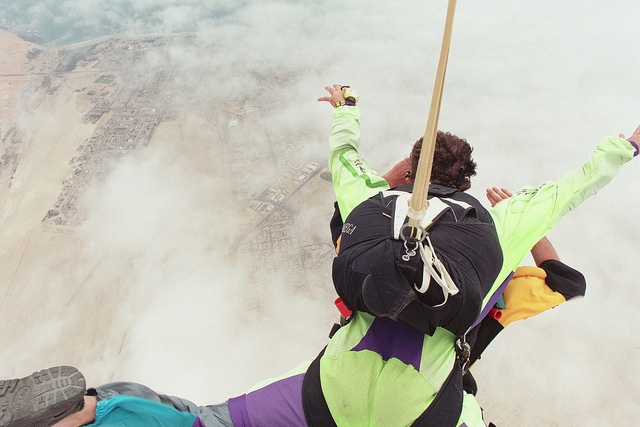 On top of being the best place to skydive, it’s also probably one of the cheapest places to do this extreme activity. Here’s another one-of-its-kind place to experience free-fall. If you want to gaze down at the boundless stretch of a desert and the rolling sand dunes which stretch throughout the edge of a coast, then skydiving in Namibia Desert should be on top of your priority. From an altitude of 10,000 feet, you will see the beauty of a majestic piece of one of the best countries in Africa. Be the first to comment on "10 Most Unique Skydiving Destinations in the World"